Discussion in 'Current Events' started by Durandal, Feb 13, 2019. You know, I think this deserves more attention and discussion than it has been getting. MAGA is continually inciting hatred for the media, for reporters, at these cult rallies of his as well as via his Twit feed and on other occasions, and it has led to a truly deplorable situation. Why should reporters and their crews be threatened and terrorized in the United States of America? It is just appalling, and MAGA never takes responsibility for what he is doing here. He stays mum on the subject. It was up to Sanders to issue the limp-wristed response condemning the latest high-profile incident. MAGA will continue to incite hatred and violence. These incidents will continue to occur and may escalate further. I would have thought that the mailing bombs would have been a wake-up call to MAGA and his cultists, but apparently it was not. What will it take? A successful murder attempt? pretending that these staged, fake infomercials in the form of worshipful pep rallies are newsworthy. AKS, fmw, Egoboy and 1 other person like this. I saw that "news" when it first aired. NBC should have been charged with a crime. Since lemming leftists believe everything the media says unless it's from fox or Alex Jones, Trump is just trying to help poor poor uneducated liberals get to the truth. No they aren't the enemy. America wouldn't exist without literacy and a free press. jack4freedom and Surfer Joe like this. MAGA is continually inciting hatred for the media, for reporters, at these cult rallies of his as well as via his Twit feed and on other occasions, and it has led to a truly deplorable situation. Lets compare. President Trump motivates people to reject a massive propaganda enterprise that uses lies, fake news, and opinions presented as fact. Democrats motivate people to put on brown shirts black masks and hurt people that don't agree with them. myview, Vote4Future, Tim15856 and 4 others like this. There is a difference between a free press and an arm of one party. That's called propaganda. BuckyBadger, the breeze, Vote4Future and 5 others like this. That's why we have so many different news outlets... and you can also read BBC or Gulf Times or al Jazeera. Trump has worked the media for decades.. sometimes posing as his own publicist to brag about Donald Trump or put down another soon to be ex wife. He catapulted Art of the Deal to the best seller list by buying the first 5,000 copies. He's a liar and a manipulator. Nothing newsworthy happens at those things so stop putting your news people in harm's way... should have learned that by now..
Hmm a book that sold over 1 million copies, sounds like a smart business deal to me. You kill me sometimes, you trying to say he manipulate 999,995 thousand buyers? the breeze, Steve N, Bravo Duck and 2 others like this. He created the demand.. It was not much of a book. If you don't mind being jacked up with Trump's latest crisis, go with the flow. If you watched it he said fake news was in bed with democrats, sorry but that's the way most think and if you don't like it try not to have 99% of your coverage on negative things, there's plenty of positives. Try not to spin everything to the most negative side possible, rarely is there one side of an argument. That's what real news does, they lay out both sides and doesn't try to provide fanfare one way or the other, that's politicians job. Bottom line know your role and he has every reason in the world to call them out, they've literally done everything possible to not get him elected and to get him out of office. If they're so dumb to understand that he hits back than that's on them. Sorry the day of quite Republicans sitting back and taking this crap is over after decades of media abuse. Tim15856, Steve N and Talon like this. Let me know when you write a book that will sell 20 copies, then I'll respect this ridiculous opinion. How could you be impartial? He's been a liar and a cheat he whole life. 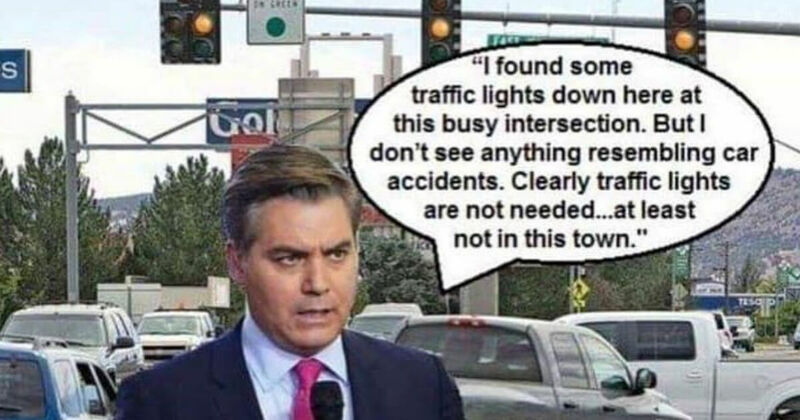 I saw that... Acosta didn't push anyone. My book didn't sell but a few thousand copies to a very specific audience. I have never been to a Trump rally before. Anyone here ever attend one? Up to 99% now, huh.... you don't think that right there is an example of fake news?? Not to mention the fake news of "pushing the girl".. you think people haven't seen (and disregarded) that moronic claim by now? 2 clear examples of fake news in a post yelling about fake news... Irony sandwich time?? WalterSobchak and Margot2 like this. And what happens when the press makes up BS and lies? They're not the press anymore.